I really enjoyed creating this little montage of scenes from the memorable 2007 MTV Video Music Awards for Billboard Magazine. 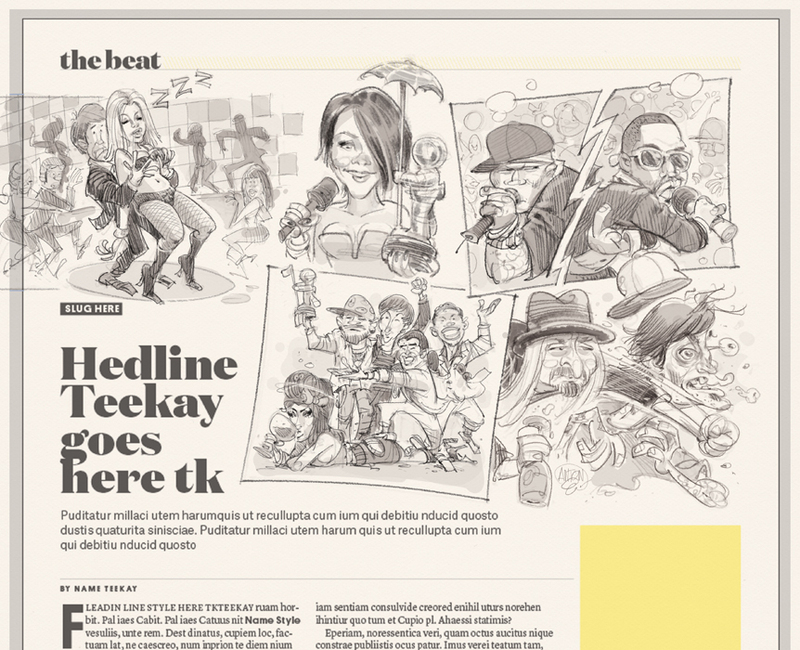 I mean... Britney Spears' lacklustre performance, Kanye and Fiddy Cent refusing to perform together, Kid Rock sucker-punching Tommy Lee... super-fun stuff to draw! You can read it in the new issue of Billboard, or read it online here.